Recently, there’s been a lot of news about the finding that early exposure to peanuts might reduce a child’s risk of peanut allergies – or whether exposure to allergenic foods in general (not just peanuts, but also soy, wheat, milk, fish, etc.) might reduce the risk of allergies in general. And there’s also a related early-exposure debate about whether introducing gluten to a child’s diet early increases or decreases the risk of Celiac Disease. Is this Even a Problem for Paleo Kids? For kids who eat Paleo, it might seem like a total nonissue: peanuts aren’t Paleo anyway, and neither is wheat. But it’s very reasonable to want your kids to be able to eat those foods, even if you hope they choose not to. What about accidental exposure in restaurants or at other people’s houses – who wants their kids to be afraid of horrible consequences every time they bite into something they didn’t cook themselves? Or what about the social consequences – there’s a time and a place when it’s worth it to enjoy something that isn’t Paleo. Intentionally trying to force a child’s decision by giving them a life-threatening allergy isn’t the way to encourage thoughtful decisions about what unhealthy foods are “worth it” or not. And finally, nutrition isn’t a closed case and Paleo isn’t perfect. Maybe in the next 10 years we’ll discover some amazing health benefit of peanuts that makes the antinutrients worth it. Maybe we’ll find a way to cook them to completely neutralize all the potentially problematic compounds. Who knows: it could happen! Just in general, it’s better to avoid life-threatening reactions to common foods that you have to spend a lot of time around. Even if you hope your kids don’t choose to eat those foods very often, it’s nice to not have anaphylactic shock hanging over everyone’s head. Obviously, no parent can completely control whether or not their child is going to develop a dangerous food allergy – there are factors at play beyond what you feed them. But if early exposure does reduce the risk, then it might be well worth trying. So…does it work? What does the Research Actually Show? Up until very recently, most parents were advised to delay introducing peanuts to their babies, on the theory that waiting would reduce the risk of peanut allergy. But more recent studies have actually suggested the opposite – and not just about peanuts. In 2015, the Learning Early About Peanut Allergy (LEAP) trial looked at babies with a high risk of peanut allergies. The study found that early exposure to peanuts actually reduced risk of developing peanut allergies later on. This was pretty groundbreaking, because it was the first randomized controlled human trial to support early introduction. Even more recently, the Enquiring About Tolerance (EAT) study built on the LEAP results by studying babies in the general population, not just babies at high risk. 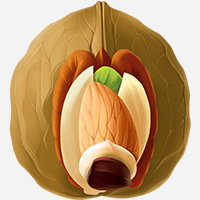 It also studied many different foods, not just peanuts. The EAT study looked at early (before 6 months) exposure to 6 potentially allergenic foods: peanuts, cooked egg, milk, sesame, fish, and wheat. They divided the babies in the study into two groups: one group got exposure to all of those foods starting at 3 months; the other group started at 6 months. The early-exposure group had a lower risk of any food allergy: 7.1% of the babies in the control group had an allergy, compared to 5.6% of the babies in the early-exposure group. The difference wasn’t statistically significant, but this might have been a problem with the study: the study protocol was just too hard for parents to follow, so a majority of early-exposure babies didn’t actually get the full amount of exposure to the foods. Celiac disease isn’t an allergy, but it raises a similar question: if I give my kid this potentially problematic food early, will it reduce his chances of a serious reaction later on? About 30% of the population has the right genes to potentially develop celiac disease, but a much smaller percentage of people actually get it, so something about environment is probably involved. Could it be early-life feeding? 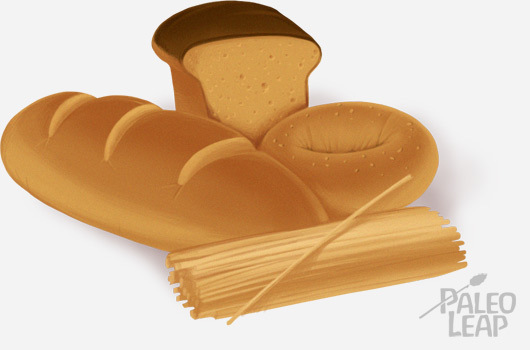 This review looked at a bunch of different studies on celiac disease and gluten exposure. Previous advice had been to introduce gluten between 4 and 7 months, gradually, while breastfeeding. But two large new trials questioned that: It doesn’t look like breastfeeding has much effect on the development of celiac disease, and it’s not clear that waiting until 12 months to introduce gluten has any effect. That study was from 2015. But in early 2016, another study found another important factor: the amount of gluten. The study found that overall gluten consumption during the first 2 years of life was associated with a higher chance of developing celiac disease, regardless of how “risky” the child’s genetic profile looked. So far, it’s looking like a small amount of early exposure might be helpful, but consistently feeding a baby gluten-rich foods might actually backfire and increase the risk for celiac disease. Introduction to allergenic foods isn’t the only thing that affects a baby’s chance of developing an allergy. There might be a big confounding factor here: Vitamin D.
Babies born in the fall and winter are much more prone to food allergies than babies born in the spring or summer. This study showed that the sensitization was specifically associated with solar radiation, or how brightly the sun was shining during the baby’s first 3 months of life. This review also notes that the further from the equator a child lives, the more likely he or she is to have a food allergy. Allergy-related hospital visits are higher further away from the equator, and also higher in the winter. That sounds totally bizarre – how does sunshine affect the risk of food allergy? – but remember that sunshine is most people’s major source of Vitamin D. Vitamin D is huge for immune health in adults, and also for immune development in babies. There’s some evidence that Vitamin D deficiency in babies is a risk factor for food allergies. Mothers might also be able to help. This study that if a mother got more food sources of Vitamin D during pregnancy, her baby had a lower risk of allergic disease after birth. Interestingly, this didn’t hold true for vitamin supplements: it might point to an issue with supplement contamination, or other nutrients in the food acting synergistically with Vitamin D. Or maybe it was some other nutrient that just happens to be in foods that also contain Vitamin D. In any case, it’s a good argument for eating some wild-caught salmon during pregnancy! Regardless of whether or how or when a baby gets exposed to potential allergens, making sure mother and baby are both Vitamin D-sufficient might be another important way to reduce the risk of food allergy. …So, Breadcrumbs and Peanut Butter? So far, it looks like early exposure really does significantly reduce a child’s risk of food allergies, although it’s a little different with celiac disease. With celiac disease and gluten, timing might not be terribly relevant, and a high level of exposure may actually make the baby more susceptible to celiac disease down the line. So far, this research suggests that early exposure to allergenic foods (like peanuts, soy, and fish), and exposure to small amounts of gluten before around 12 months may be helpful. And Vitamin D is probably useful in any case, regardless of what the baby eats or doesn’t eat.